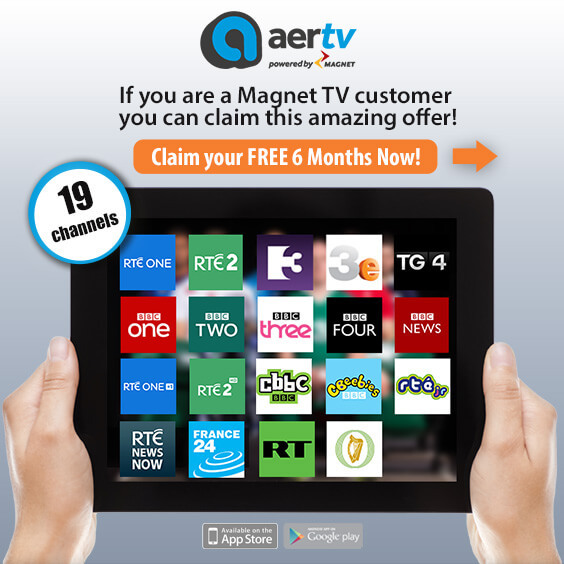 *Terms & Conditions: By submitting this form you accept that AerTV Platinum will be added to your account and if you do not cancel within the free month period from the time of adding you will be charged to your account on your next bill at a monthly rate of €4.99. If you do not want to receive a charge or wish to cancel your account at any time you must actively cancel your account by contacting cancelations@magnet.ie and requesting to cancel. Unfortunately, you don't have the required credentials to complete the action!